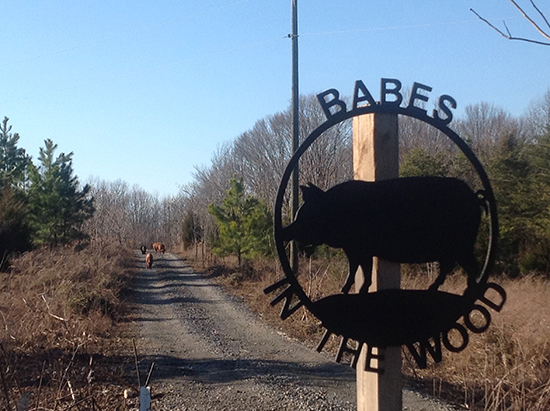 Located about an hour outside of the city in Dillwyn, VA, Babes in the Wood farm isn’t the kind of farm you might imagine. It’s more of a forest, a place where a rare-breed pig can root around with his buddies all day. Since 2005, Bill Jones has been raising Tamworth pigs and selling pork at farmer’s markets and gourmet retailers from Virginia to Pennsylvania. Tamworth pigs are not what you’ll find at the super market. These pigs, descended from English forest pigs, aren’t suited for breeding in captivity. The flavor is distinct and hearty – excellent for a variety of preparations. 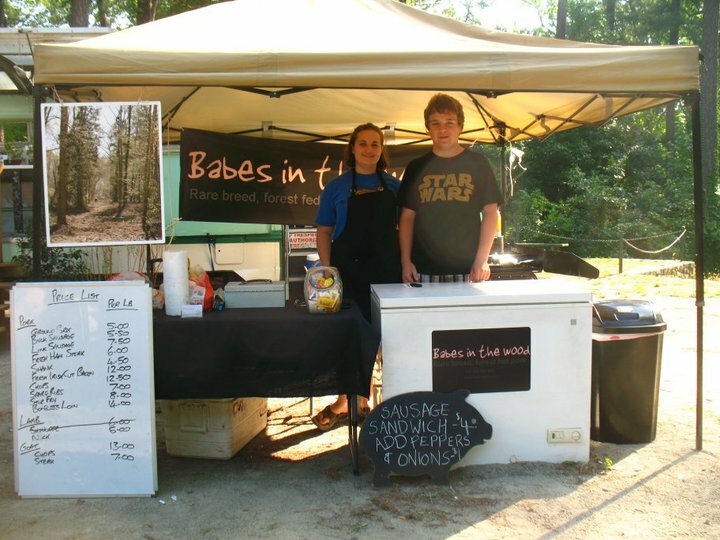 Babes in the Wood are full-time market vendors, so you can count on planning a meal around their delicious pork every week. They take special orders and offer a range of cuts, but popular cuts can go quickly, so find them at the beginning of the market! Like, Share, or Comment on this post, and you’ll be entered for a chance to win a 2# pork loin from Babes in the Wood forest fed pork! We will post the winner on Facebook on Friday night, so check back to see if you’ve won! Babes in the Wood, Rare breed, forest fed pork. Irish smoked bacon (aka English back bacon), it is not something that is easily found anywhere else and it reminds people of visits to the British Isles. Eight years. That our pigs are free to roam in 75 acres of woodland. We have sold some of our bulk sausage to Monique’s Crepes for use in their crepes! Leave the farm at 6:15a.m., arrive at the market by 7:30a.m. Set up and be ready to sell by 8a.m. Take time during the market to explain what we do at the farm to interested customers and answer any questions they may have. Some customers order in advance and we bring exactly what they want. This means they are not disappointed if we sell out of what they want before they can get to the market. Start packing up at noon and get home about 2p.m. Looking forward to seeing you tomorrow! Will you have bacon?